Sardinia is Italy's second largest island and the second largest island in the Mediterranean Sea. It's also a geographical and political region of Italy, famed for its beautiful beaches and fascinating history. 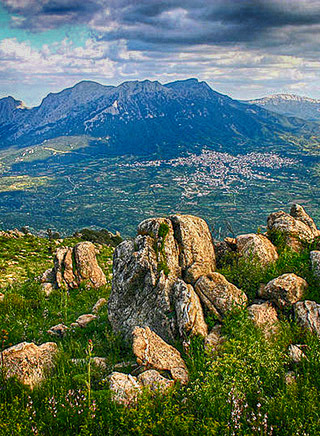 The history of Sardinia can be traced back some 8.5 million years ago. During what is known as the Nuragic Era (lasting from the 18th century BC to the 2nd century AD) nearly 8,000 stone structures called nuraghe were constructed, which still stand today and have since become well-known symbols of the island. Over many centuries Sardinia has survived countless invasions by the Phoenicians, Carthaginians, Romans, Arabs and Byzantines. Then, in 1479, Ferdinand II of Aragon wed Isabel of Castile, and the Kingdom of Sardinia fell under Spanish rule for the next 400 years. An uprising in Cagliari on April 28, 1794 sparked a revolt all over the island wherein the Sardinian people demanded separation from Spain. However, it wasn't until 1848 that Sardinia pushed forward during the Unification of Italy, and in 1861 the island joined the newly created Kingdom of Italy. During World War II the fascist repression within the region was brutal, and Sardinia became the target of several bombings which all but nearly destroyed the city of Cagliari. Post-war, Sardinia received autonomy and held their first regional elections on May 8, 1949. During the 1960's an economic crisis emerged, and the ensuing unemployment exasperated the crime rate. Today, Sardinia's primary focus is on tourism to aid their economy. 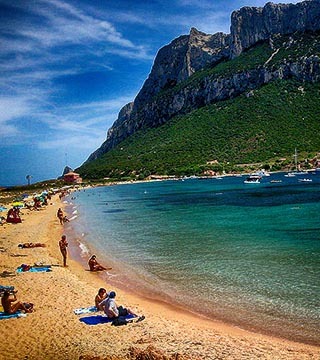 Beginning in 1951 Sardinia experienced a tourism boom with foreigners flocking to enjoy the islands beautiful beaches. Numerous prehistoric castles, villages, temples and tombs dot the countryside, and with its perfect weather, tourists arrive in droves, most using the dependable ferry service from the Italian mainland.